The hottest name to fill any open position on the GM market is Golden Knights assistant GM Kelly McCrimmon. McCrimmon stepped away from being the owner, GM, and head coach of the WHL’s Brandon Wheat Kings in 2016 to join the Golden Knights staff as second in command behind George McPhee. Since then, he and McPhee took what was supposed to be a bottom of the barrel expansion team to the Stanley Cup Final and have them headed towards the playoffs and potentially another run in year two. Now, with Seattle entering the league and in need of a GM and the Edmonton Oilers parting ways with Peter Chiarelli, McCrimmon’s name is at the top of the list of potential candidates to fill either role. 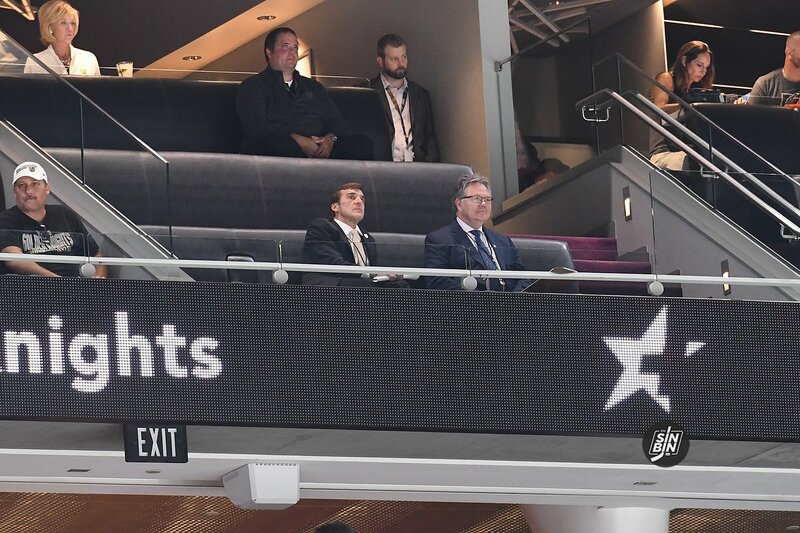 Speaking on a recent episode of the NHL Executive Suite podcast, The Creator sounded like he and McPhee are prepared to be without McCrimmon in the near future. McCrimmon is a laid back, cerebral person who always comes across as the smartest guy in the room, probably because he is. According to reports, he masterminded “the pledge,” which forced teams engaging in an Expansion Draft trade with the Golden Knights to pledge not to make any other moves that could effect Vegas, thus limiting the roster distribution McPhee feared. Of course, because they are a team, it’s hard to determine what else McCrimmon vouched for or against, but there’s no question the overall success of the Golden Knights can be tied to him in a big way. Losing him is far from ideal, but the owner has a backup plan. McCrimmon is a good fit for either Edmonton or Seattle, and if it’s not one of those two, the more success Vegas has, the more often his name will come up in GM openings moving forward. It’s an underdog that McCrimmon is the AGM for VGK in year three, it’s a long-shot he’s still here in year four. The question is, can you actually find someone better? Hopefully, the answer is yes. Keep an eye on the name Misha Donskov. He’s a fast riser in the hockey world as he quit a job in the financial industry in 2009 to work in hockey. He quickly went from an assistant coach in the OHL to video coordinator and eventually a management and hockey ops position with Team Canada before being hired as the director of hockey operations for the Golden Knights. You may know him from VGK University or the countless appearances he makes helping kids learn the game at City National Arena. He appears to be a GM in training and it wouldn’t surprise me in the least if he’s next in line if/when McCrimmon takes a GM job elsewhere.